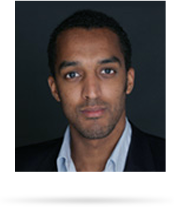 Raphaël began his career within Baker & McKenzie’s Information Technology team where he worked between 2008 and 2010. He previously trained with Lovells LLP and Hogan & Hartson MNP. 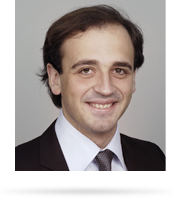 Raphaël has also developed an extensive expertise in commercial litigation. He participates in the drafting of Information Technology and Media Lamy and regularly publishes opinions in the press. Raphael holds a Masters’ degree in Communications Law from the University of Paris II – Panthéon Assas and an LL.M in Information Technology Law from the University of Montreal in partnership with McGill University. Raphaël also holds a maitrise (French equivalent to an LLB) in Business Law form University of Paris II – Panthéon Assas. He speaks English fluently and has a good knowledge of Arabic. Wilfried is the founder of Tawa Choisy. He specializes in real estate and public business law. He trained as a lawyer with Ashurst LLP and Baker & McKenzie in Paris. He holds a Masters’ degree in Public Business Law and a Masters’ degree in Real Estate, Construction and Urban Planning Law from University of Paris I – La Sorbonne. Wilfried is fluent in English.